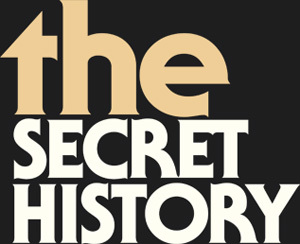 The Secret History is a Brooklyn based band featuring cult songwriter Michael Grace, Jr. and his decade-long co-conspirators from the adored (but obscured) indiepop group My Favorite. The band also features vocalists Lisa Ronson (daughter of glam rock legend Mick Ronson) and Jaime Allison Babic. Grace's lyrics turn bare bedsit walls into drive-in theatres, while Ronson's singing alternates between the emotive and the plaintive -- one minute channeling Dusty Springfield, the next, Kirsty Macoll. Behind them, guitarist Darren Amadio, keyboardist Kurt Brondo, bassist Gil Abad, and drummer Tod Karasik tailor soundscapes to suit each changing mood. 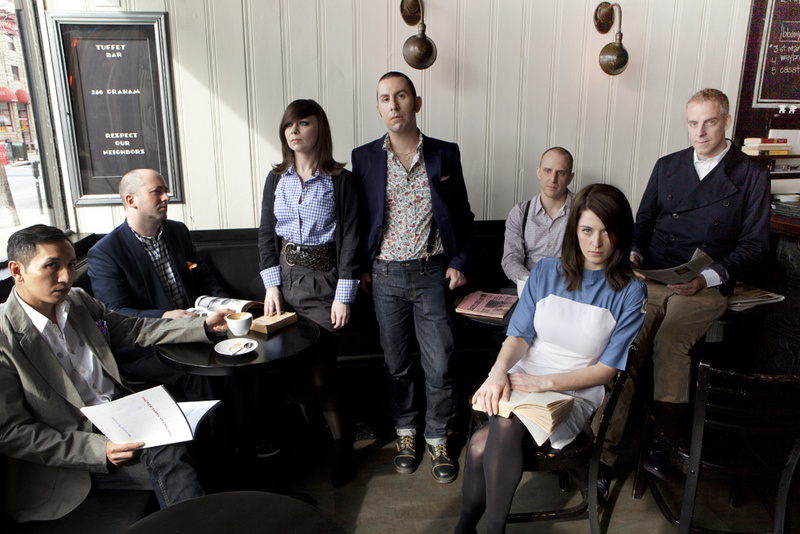 Together, they have remade/remodeled their pasts into a new kind of cinematic post-pop, drawing from the rainy jangles of C86, the buzz & stomp of glam, and the light & air of the girl groups. Not only lives up to My Favorite’s legacy, but surpasses it... not since the first two New Pornographers records have the songs, vocals, and production come together so perfectly. On The World That Never Was, they’ve crafted one of the best, most lyrical, and emotionally powerful pop albums of the past however long. Disconcertingly beautiful arrangements and expressive lyrics complement each other so well. If our lives,dreams and little desperations could be put to music, we'd be fortunate if this is what they'd sound like. The World That Never Was takes notions of indie pop and crash collides them, just like that double-decker bus, with hints of Ziggy Stardust, the Smiths, sixties female pop icons like Lulu and Dusty Springfield, and mid-20th-century Italian cinema. Darkness to balance the light, hopeful lyrical phrasing and bright jangling guitars to temper the sadness. An amalgamation and reinvention of many of the best bits in a music lover's collection. Simply put, The World That Never Was is a modern classic. Deli Magazine NYC names The World That Never Was record of the month.